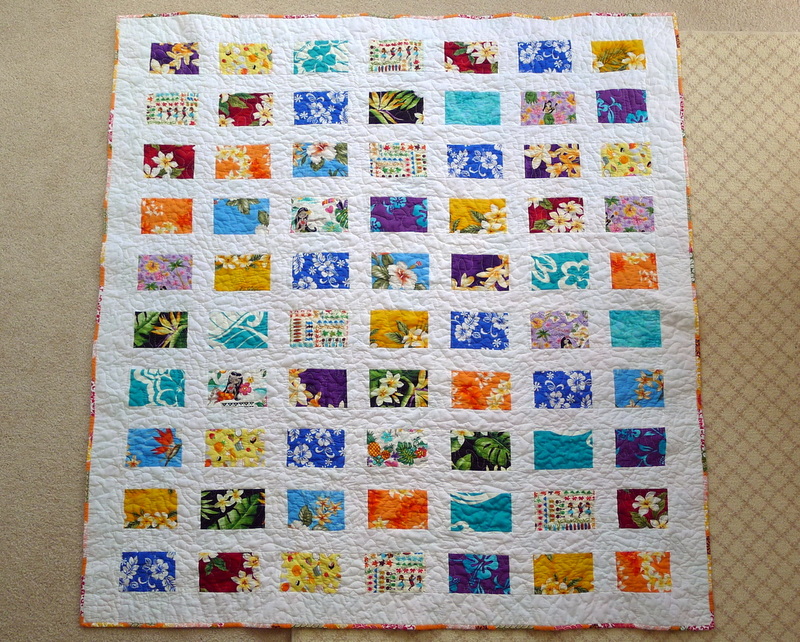 Other posts on this project: Go to Your Happy Place Quilt Pt. 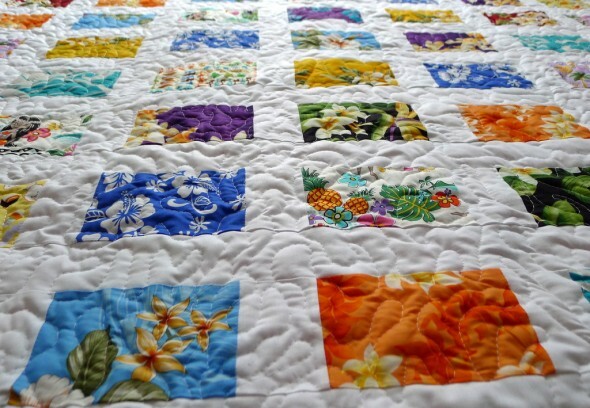 1, Go to Your Happy Place Quilt Pt. 2. This quilt is finished and delivered! So I made this quilt for my sister-in-law Kathryn, who is expecting her first baby in just a few weeks. 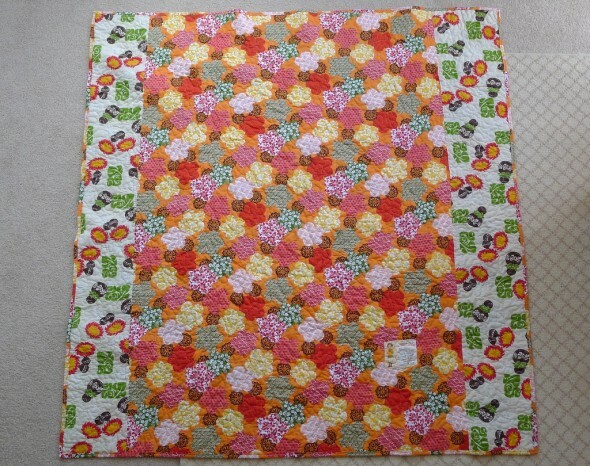 H can’t wait to meet her little cousin CJ, but since he’s been getting all the attention (and quilts made by my mom) I wanted to make something for Kathryn during her hospital stay. 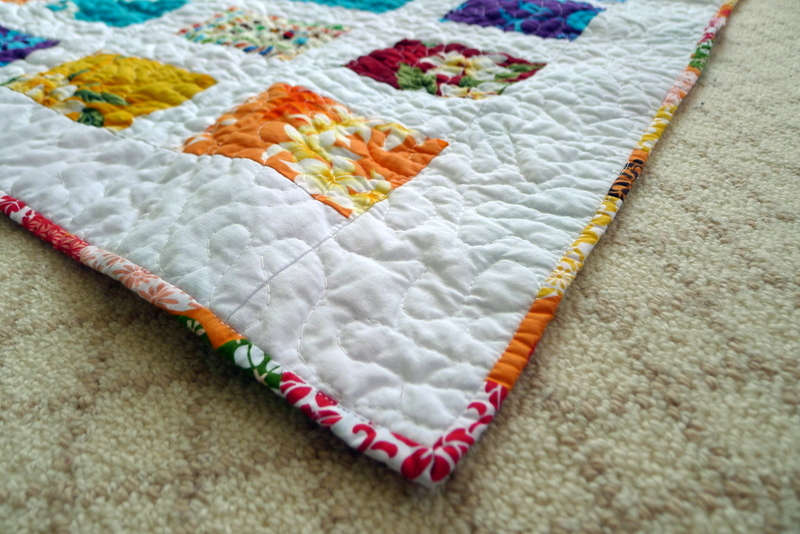 I brought my Rainbow Quilt to the hospital when H was born, and I was so glad I did. It made such a difference to have something personal and cheery to liven up the depressing side of days spent in the hospital. Which is how this quilt, using my Hawaiian fabrics, came about. What happier place to think of than a tropical paradise? In the end I didn’t even measure this one, but the original pattern said it would be 61″ x 69″. I used different sashing sizes but cut the “postcards” to the same size, so let’s say it’s roughly that size. The fabric folded over on itself at a couple of spots on the back. But, it was a learning experience and I still love this quilt. 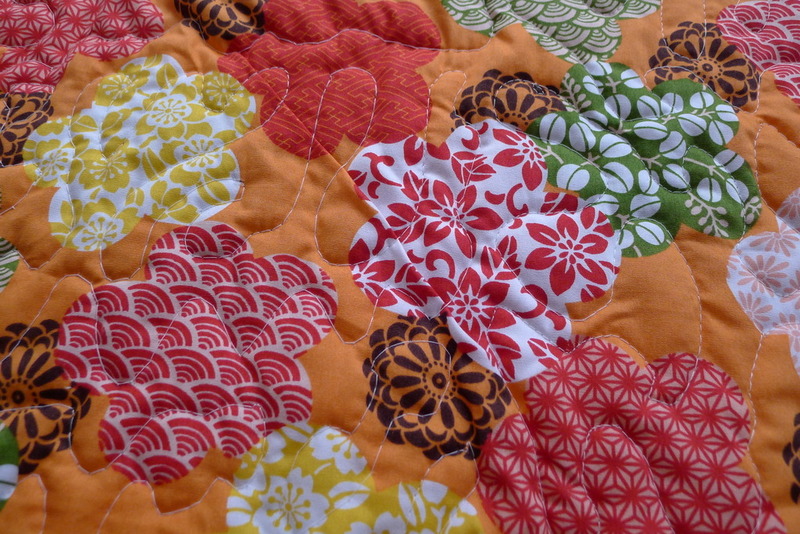 I’m even happy with the binding, which is the same orange fabric from the backing. My mitered corners still aren’t perfect, but they’re getting better and better. This was a success! And Kathryn has it in her trunk with her hospital bag, ready for the big event!